The Kew Gardens tennis courts have been locked up for the winter. Re: “No winter tennis access at Kew Gardens club due to safety, insurance concerns’, Beach Metro News, Nov. 27. With regards to your recent article, there are a couple of points which I feel require clarification for the community. First, the off-season tennis playing members, on behalf of the public, have strong concerns about these publicly owned courts not being made available because of a decision by the Kew board. To cite safety and liability concerns, when 40 years of usage have shown nary a single incident, is baffling. If safety was truly an issue, the city should be stepping in to immediately shut down all skateboard parks, playgrounds, and our cherished beach boardwalk, all of which are available to the public 365 days a year. We have offered to step up as volunteer monitors to assuage this safety concern, yet this has also been rebuffed by the board, referencing that we lack the proper training. In requesting the training guide for summer monitors, so that we can be trained…none could be produced. All that is really required is a “Use at Own Risk” sign to be placed by the gates. How can this be acceptable for public ice rinks….yet not for tennis. Perhaps tennis is more dangerous than playing on ice. Second, I feel the suggestion of the courts being used by dog owners, skateboarders, and ice skaters is extremely misleading. In my 15 winters of using and observing the courts from 2001, the only real usage of the tennis courts….was in fact from tennis players! I can recall seeing a dog only once (and that was one that somehow snuck through the gate to chase a ball), but never did I see a skateboarder, let alone an ice skater. This can be attested by other players as well. So to even mention this as an issue is in my opinion erroneous. Publicly owned facilities such as Kew Gardens need to be used. We have paid for them with our taxes. The city is open to making this happen at Kew. To have them idle for months at a time when the public has proven to want to use them, is tragic. This applies to not only the Kew Gardens courts, but to all other truly public courts that the city has decided to idle. Kew Gardens Tennis Club (KGTC) is a community club operating under city permits on city property. Both the city and the club should encourage tennis play to promote healthy lifestyles. As stated in your article, tennis in the off-season (November to March) is no less safe than other unsupervised city activities such as playgrounds, skateboard parks and the boardwalk. The city dictates the terms of the permit for KGTC so if the permit is preventing off-season tennis, the city could change the terms or, better still, not require a permit for the courts to be open to the public in the offseason, as is the case for playgrounds, skateboard parks, etc. 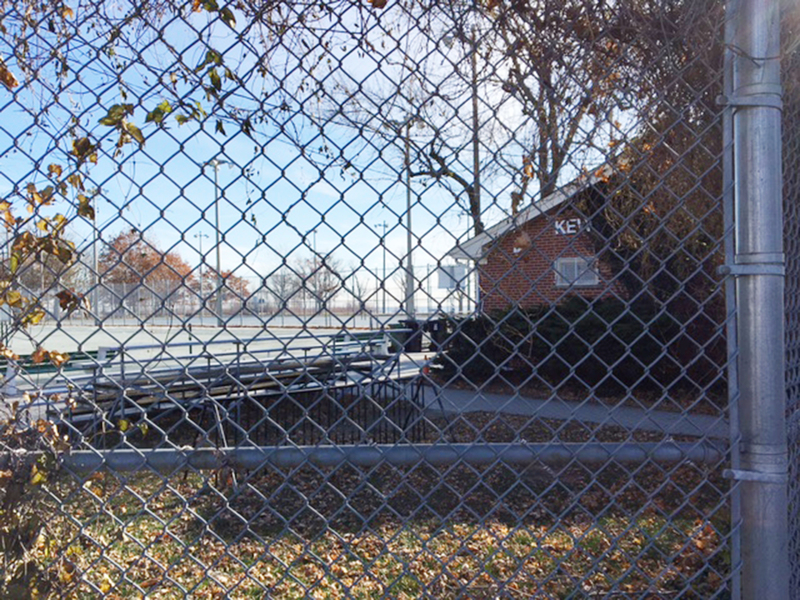 Lately the city has closed other public tennis courts previously open in the off season. Why does the city limit outdoor tennis activity? Every month of the year has great sunny days. Since 1987 I have played on the Kew hard courts in spring, summer, fall and winter (until two years ago when they were closed). I have also jogged by the courts regularly for 30 years. Many times in the off-season I have seen tennis players, both adults and juniors, taking advantage of the outdoor play in good weather there were lineups to play. Only once have I seen someone use the courts as a dog run. I have never seen skateboarding or ice skating. The visibility of KGTC adjacent to the boardwalk encourages outdoor tennis, as people walk by, see tennis and want to play. Let’s work together to encourage tennis year round.